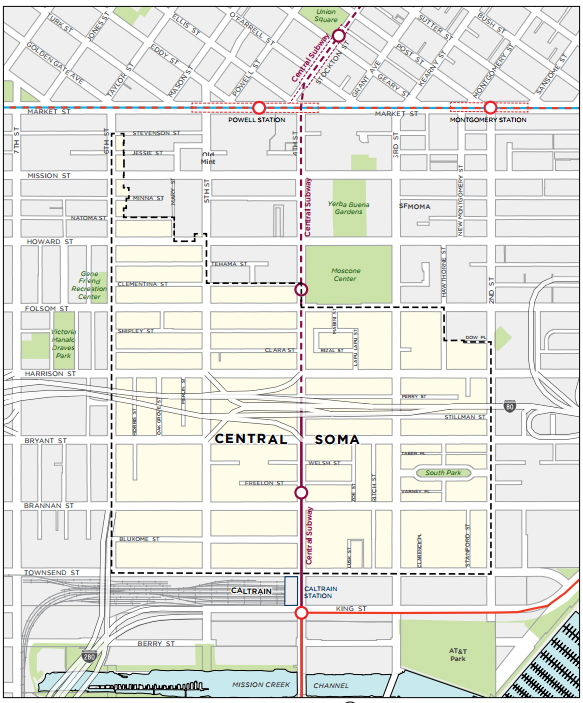 After eight years of negotiations, the San Francisco Board of Supervisors approved the Central SoMa Plan on December 4, paving the way for a massive density increase, transportation improvements, and infrastructure investments in the heart of the city. The final plan for Central SoMa (South of Market), an area bounded by 6th Street to the west and 2nd Street to the east and Townsend Street to the south and Market Street to the North, ended up at over 1,600 pages (available here). The resultant “eco-district” is aiming to be socially, environmentally, and economically sustainable by 2040, in part by ensuring a diversity of businesses call the neighborhood home. Among the many changes, heights of 400-feet-tall are now on the table for certain developments. The plan allows for an additional 8,800 units of housing—33 percent of which must be affordable—as well as office space for up to 32,000 new jobs. $600 million will be allocated towards transportation infrastructure improvements, including mass transit options, sidewalks, and bike lanes. $64 million will go towards neighborhood schools to accommodate the influx of new residents, and an additional $185 million will go towards improving the area’s existing parks and public spaces, as well as the construction of new civic spaces. $100 million will go towards social programs and the upkeep of the neighborhood’s historic buildings. An unspecified amount of funding will be set aside for stormwater management and projects that will improve air quality, and the plan requires that Central SoMa transitions to non-greenhouse gas-based energy sources. Green roofs and walls will also be required. 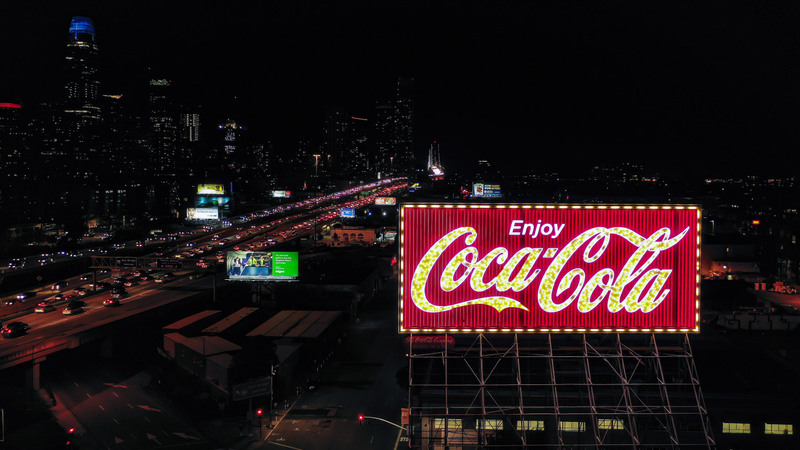 Hotels, retail, and entertainment options will be incentivized, and the plan looks to include light manufacturing in an Urban Mixed Use zone, which will create a buffer between the residential district and the Eastern Neighborhoods. Such an ambitious zoning update naturally met resistance. Before the December 4 vote, four lawsuits against the project had to first be dismissed by the Board of Supervisors. Community groups took the city to task over fears of gentrification and concerns over increased air pollution owing to the forecasted increases in traffic. A third group, the developer One Vassar LLC, filed a motion because they felt the plan wouldn’t increase housing enough in proportion to the amount of expected office space. Now that the Central SoMa plan has essentially been approved, height limits in the area will gradually rise over the next 22 years, first to 85 feet from the current 30, then to 130 feet, and finally 400 feet.